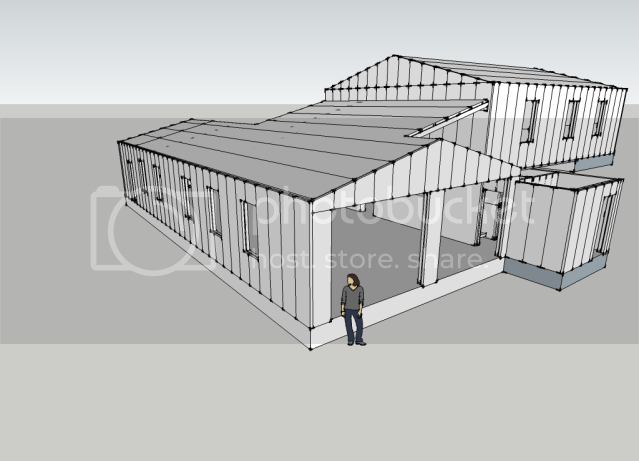 The site is cut-and-fill, so the garage will sit right up against the cutting in the hill, with the dwelling above extending onto the hill. 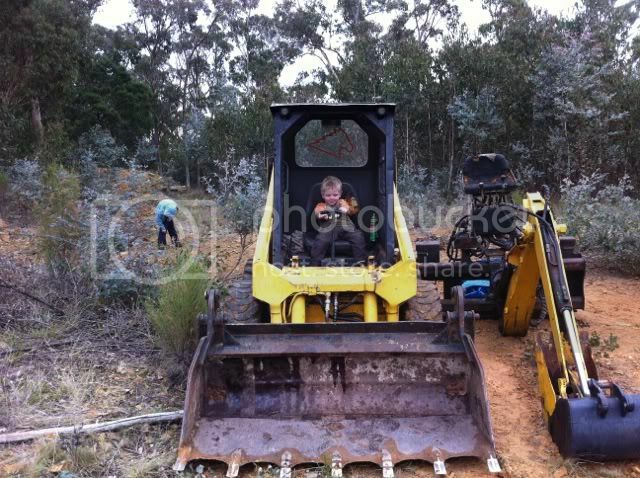 It’s a 1994-vintage Mustang bobcat, with 4-in-1 bucket, backhoe, auger and rock breaker. 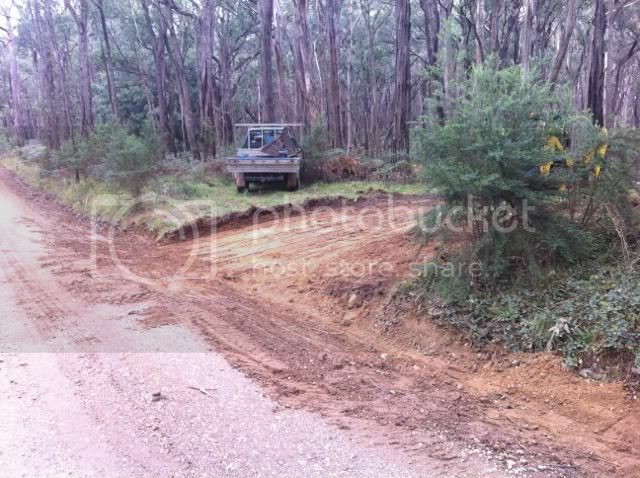 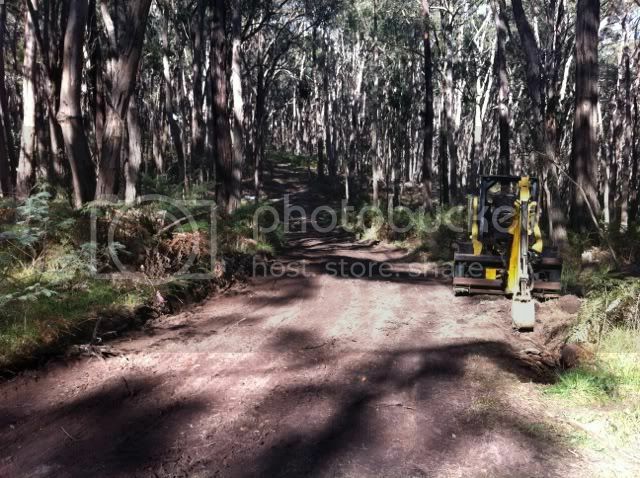 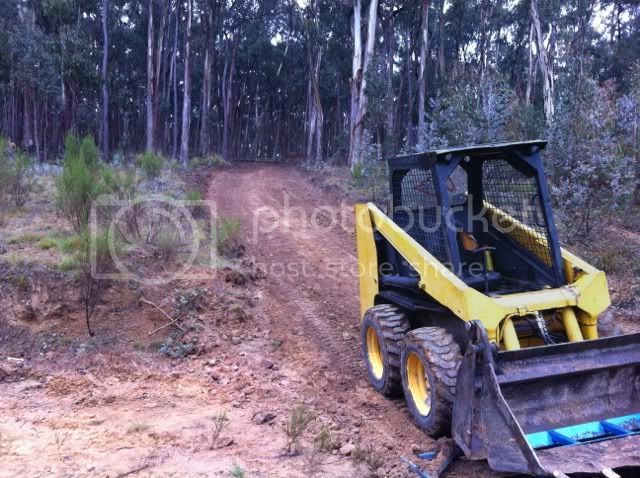 Its first job was to form up the access track a little for construction access, since it was basically nothing more than a couple of wheel tracks worn into the bush.